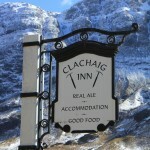 Clachaig’s FebruaryFest has grown over the last 2 decades from humble beginnings to being as much a part of Glencoe in winter as is the sight of the Buachaille covered in a snowy crown as you emerge from the wilderness of Rannoch Moor on the A82. FebruaryFest is based on basic principles. 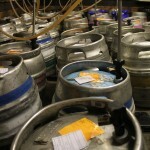 Good beer, hearty food, great craic. What more do you need after a day out in the winter weather amidst the most breathtaking scenery? You can’t beat a good old pub quiz and with wifi and phone networks being in very short supply relying on Google for the answers might be a risky strategy. 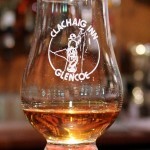 Demystifying Scotland’s national drink, and we’re not talking Irn Bru here! Ok, we can’t promise that, but we’re hopeful. We just added it to see if you were actually reading this. With so many new gins appearing all the time, we help you to keep track. The Clachaig Winter Safety Lecture series is back again for 4 Tuesday nights through February into early March. Started in the mid 1980’s, the series is still a crucially important last minute opportunity to refresh/learn about the skills and planning required before heading out into our beautiful mountains. And finally, you’ll need somewhere to stay while you’re visiting. We’ve got that covered too with our special FebruaryFest accommodation offers with some excellent prices for stays of 3 nights or more on either a bed and breakfast or Dinner, B&B basis. See the full What’s On in Glencoe in February line up for all of the events available during FebruaryFest.